YG Entertainment, the label of such famous K-pop bands as BIGBANG and BLACKPINK, is set to launch two more K-pop boy bands in the near future, the company’s chief said Tuesday. 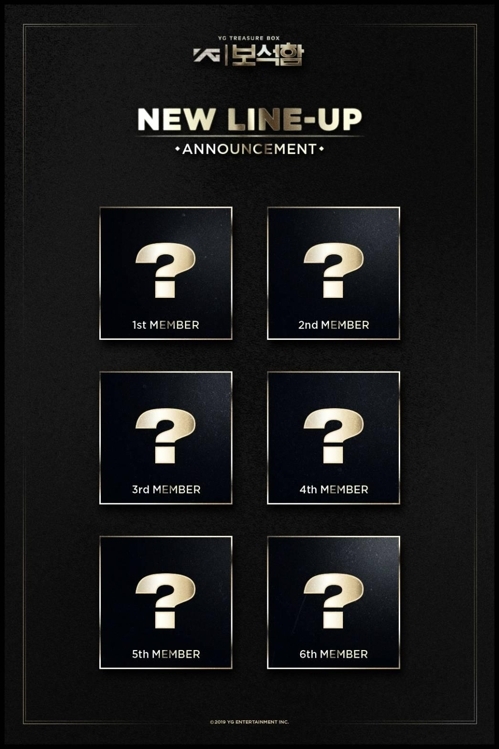 “Following (the launch of) ‘Treasure,’ whose membership is fixed at seven, (YG) will soon announce the second team composed of six members,” YG head Yang Hyun-suk said on his Instagram account. The seven “Treasure” members were selected in the idol survival program by network JTBC, “YG Treasure Box,” which has been running since November on YG’s production. The final seven winners are on their way to an official debut in the near future. “Over the past several months, there have been many calls for the creation of a team with seven or more members, as well as calls for the launch of two (boy) bands, in online communities related with ‘YG Treasure Box,’” YG said. “YG will announce the identities of the six fixed members of (the second boy band) in the not too distant future,” the company noted.